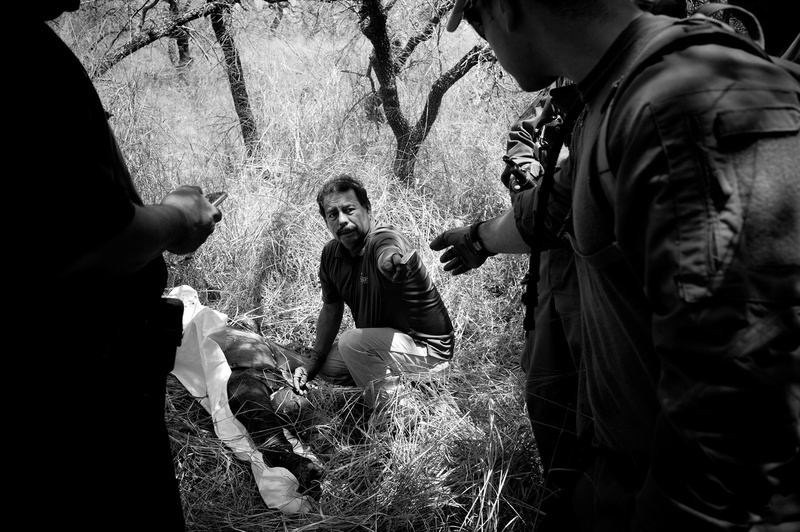 FALFURRIAS, TX - AUGUST 18: Alonzo Rangel of Funeraria del Angel Howard-Williams hands over an what will later be determined to be a faked Mexican identification card to a border patrol agent as he inspects and covers the body of a deceased migrant. The man's wife reported his death by way of a 911 call when she and 5 other immigrants broke away from a larger group of 20 crossing through a Brooks County ranch on Sunday morning. This is the 48th body discovered in Brooks Co. this year.